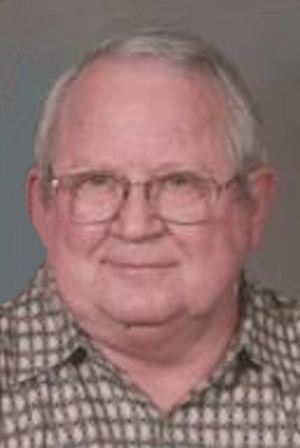 Obituary – Beier, Lawrence Leon « Perry High School Alumni Association, Inc.
Lawrence Leon Beier, 73, of Perry passed peacefully from this life and joined his Savior and his beautiful wife Frances in heaven on January 23, 2014 at his home. Funeral arrangements have been entrusted to the care of Palmer Marler Funeral Home of Perry, Oklahoma. A funeral service will be held on Monday, January 27, 2014 at 2:00pm at the Christ Lutheran Church located at 1301 North 7th, Perry, Oklahoma with Rev. William Metz officiating. Interment will follow at the Grace Hill Cemetery in Perry. Public visitation will be held on Saturday, January 25 from 9am to 6pm and Sunday, January 26 from 1pm to 8 pm with the family greeting friends from 6:00pm to 8:00pm on Sunday at Palmer Marler Funeral Home. Lawrence was born on March 4, 1940 in rural Noble County to August and Bertha (Tuetkin) Beier. He attended grade school in Sumner before transferring to Perry Public Schools, where he graduated in 1958. Following his schooling, Lawrence worked as a Borden milk delivery driver and a Safeway stocker and produce manager. The best decision of Lawrence’s life was convincing Frances Kukuk to marry him in a ceremony held on August 11, 1960 at the Christ Lutheran Church with Pastor Victor Scholtz presiding. They were best friends and soul mates, and celebrated 53 years together before her passing. They had three children, Bob, Randy, and Carla Beier. In the Early 1960’s Lawrence became employee #66 at Charles Machine Works and he was very proud of that fact. He started at Ditch Witch as a machinist and worked for 19 years before retiring to run the Beier’s Conoco he purchased in 1980. In 1993, Lawrence returned to CMW where he worked for another decade, retiring as an electrical technician with well over 30 years of service. In his spare time, Lawrence spent time serving on the Board of the Cherokee Strip Museum Historical Society and the Roadrunner Car Club. Lawrence and Fran had more than a marriage, they had a life partnership. They enjoyed doing everything together. They could often be seen together in the front yard gardening, at the lake fishing, or attending her grandchildren’s events. They were lifelong members of the Christ Lutheran Church in Perry, and they rarely missed an opportunity to worship together. Lawrence also enjoyed spending time restoring his friends Ford Model T.
Lawrence was an ornery man who loved to pick on his friends and give his family a hard time. He was a constant source of smiles and never missed a chance to tell you his latest story. Lawrence had a quiet strength, and could always be relied on to give good advice. He brightened the lives of all those he knew and he will be dearly missed by those whom he loved. 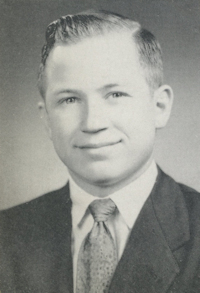 Lawrence was preceded in death by the love of his life, Frances Beier, his parents, a brother and sister-in-law Harold and Peggy Beier, and a brother-in-law David Kukuk and brother-in-law Leroy Blocker. Lawrence is survived by his two sons, Bob Beier and his wife Sandra, Randy Beier; one daughter, Carla Wells and her husband, Gerry all from Perry, Oklahoma; six grandchildren, Shelby Foster and her husband, J.D. of Stillwater, Oklahoma, Melissa Colasacco and her husband, Tony of Edmond, Oklahoma, Travis Beier, Lyndee Wells, Lexi Beier, and Courtney Wells, all of Perry, Oklahoma; three great grand children; Jaxon and Emily Foster, and Sophie Colasacco. Two sisters, Marie Kukuk and Mildred Blocker-Graham and her husband, Butch of Perry, Oklahoma. He is also survived by numerous nieces, nephews, and other family members. The family wishes to thank Dr. Terri Gibson and Dr. Gary Bond at OKC Integris Baptist, as well as Dr. Gilbert Emde for the care and compassion they showed Lawrence during his illness. Memorial contributions can be made to Christ Lutheran Church Memorial Funds or the American Heart Association, both in care of Palmer Marler Funeral Home of Perry, 203 Fir Street, Perry, OK 73077.